Sayamindu Dasgupta takes us for a walk and shows us the shiny new stuff in the upcoming GNOME 2.8. The GNOME Foundation is scheduled to release GNOME 2.8 on the 15th of September, approximately six months after the release of GNOME 2.6. The last six months have seen intense activity in the GNOME developer community, resulting in improvements, enhancements and feature additions. Some of these changes are subtle, while others are immediately noticeable. However, all of them are designed to make GNOME more user friendly, all of them try to make things just work. The last major release of GNOME (version 2.6) was mainly about polish and bug fixing, with very little user-visible changes (well, except for spatial Nautilus). This release, on the other hand features quite a few new applications, though the feature list of the core applications (file manager, web browser, etc.) have remained more or less the same. The GNOME release team only provides the sources—the binaries are usually supplied by each distribution manufacturer. There are two major ways to install GNOME from source—one is by using Garnome ,which pulls released tarballs from the GNOME FTP servers, and the othermethod is to use jhbuild, which pulls the modules from CVS. I followed the second option, since I already use CVS for checking in the Bengali GNOME translations. jhbuild took care of all thedependencies, and required very little manual intervention throughout the build process. For people who would like to use pre-packaged binaries, using Fedora Core 3 Test 2 might be a good option. Gentoo users on the other hand, can try out it out via Break My Gentoo. One of the most visible changes in the core GNOME desktop is the new “Add to panel” dialog. 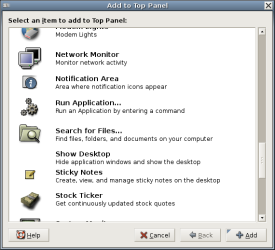 Previous versions of GNOME used category-wise arranged sub-menus for adding applets and the launchers to the panel. 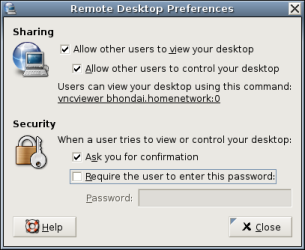 GNOME 2.8 uses a single dialog to achieve this. While this approach is definitely better than having the user to navigate through a maze of sub-menus toadd an applet, having a single dialog for adding all kinds of applets can prove to be somewhat overwhelming for an user unfamiliar with the concept of panels and applets, especially when the user has a large number of applets installed. However, as far as the desktop internals go, the most significant change made in GNOME 2.8 is perhaps the introduction of the new MIME system. The file types control center applet has been done away with,and now an user can associate an application with a particular file type simply by choosing it from a list in the “Properties” dialog box of afile of that type. However, when an user tries to add a new applicationto the list, he is simply presented with a file selector dialog, displaying the entire list of the files in /usr/bin. Users new to non-Windows system would certainly feel uncomfortable with this. Perhaps a slightly modified version of the Run dialog from the GNOME panel would be a better choice here. The rationale behind the new mime system is available for your perusal. We feel that it is a definite improvement over the older system, and we hope that the /usr/bin listing issue would be resolved in GNOME 2.10. Another very interesting development in the internals of GNOME is the addition of (DNS-SD)DNS-Service-Discovery support to GNOME-VFS. DNS-SD is a part of Zeroconf (Rendezvous/OpenTalkfor Mac enthusiasts), and enables applications to “automagically” discover services running on the local network. GNOME-VFS now exports API allowing applications to browse and resolve services using DNS-SD, and in GNOME 2.8, we will be seeing automatic discovery of WebDAV and FTP shares in the Network Browser view of Nautilus. All this is done via the Howl library andtoolset. Incidentally, Howl also includes a tool called mDNSResponder which allows you to publish services (eg. http, ftp, etc) running on your own systems. Support for DNS-SD is an exciting step, and I definitely look forward to applications like Epiphany and Gaim taking advantage of this feature in GNOME-VFS. The GNOME developers seem to have some even more interesting ideas, and this interview has some insight into those plans. 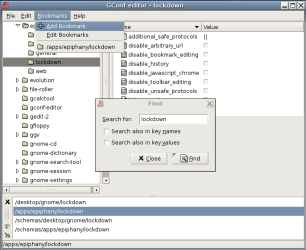 GNOME 2.8 also introduces two very frequently requested for enhancements—the Gconf-Editor tool now has search functionality which lets you search through the keys, and support for bookmarks has been added to it, which can be really handy at times. The new GNOME System Tools suite of applications is one of the more interesting additions to GNOME 2.8. GST, as many call it, is divided into two parts: the GTK based user interface frontend, and the Perl based backend. The user sees only the frontend, while the backend detects the user’s distribution, and works accordingly. The range of distros supported by GST is pretty extensive (it even supports my Gentoo system), and the tools provided (network, boot,services, time and user administration) should be enough for the average desktop user. I feel that the GNOME people are doing the right thing here. Having a unified set of system tools, independent of the distro can be a greatboon in certain cases, especially for people who have to handle multiplesystems running different distros on a regular basis. Also, not only does GST run on different GNU/Linux distros, but also, it also seems to have support for FreeBSD. Moreover, you can also remotely administer systems using GST, though that seems to need some fiddling around with the Gconf keys in /apps/gnome-system-tools/global. GNOME 2.8 also features the introduction of GNOME-nettool, which is a set of frontends to command line network diagnostic tools like ping, traceroute, whois, ifconfig, netstat, etc. 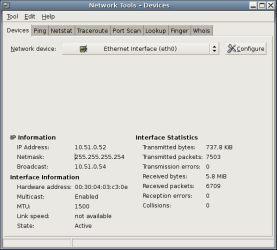 GNOME-nettool should be very helpful to system administrators trying to help remote users diagnose network troubles. To many, perhaps the most exciting new feature of GNOME 2.8 is its improved integration with hardware achieved through extensive use of DBUS and the Hardware Abstraction Layer, or HAL. 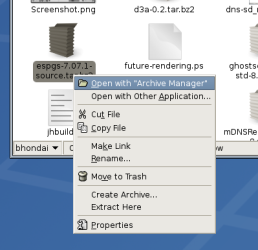 GNOME-VFS now uses HAL, and so as soon as you plug in your removable storage device (USB Memory stick, USB floppy drive, etc), you’ll automatically get an entry in the “Computers” view in Nautilus and in the file selector. Moreover, this release of GNOME will also include GNOME Volume Manager, or GVM, which lets you run custom applications automatically when you plug in your digital camera, or insert an audio CD or a blank CD/DVD. However, GVM will probably work only on 2.6 series kernels and after using it, I felt that it required some more polish (making users enter commands by hand is not a very good thing to do, and I was quite surprised to see gthumb listed as the default option for handling digital cameras, since gthumb is not even installed in my system). From an overall perspective though, the need for tools such as GVM has been felt for a long time, and the inclusion of it in the core GNOME desktop,along with the utilisation of HAL and DBUS in GNOME-VFS is only going to enhance the “It just works! !” feel. GNOME 2.8 also has a few new features and enhancements for people working with languages and locales other than English. 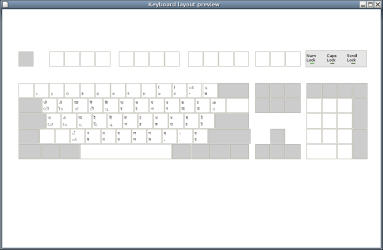 The keyboard layout tool now has a handy option to “preview” the layout, which displays a graphical representation of the keyboard layout. However, after using the feature, I feel that it can use some work in certain areas. For example, the key labels that are shown in the initial preview window are almost illegible (I had to maximize the window to read the labels), while the displayed diagram shows the active layout, not the one highlighted in the keyboard preferences dialog itself. But it’s a step in the right direction—and I hope to see a more polished preview feature in the next release. People using scripts like Devanagari, Bengali, Tamil, Arabic, would be happy to know that libgnomeprint now has support for printing complex script based texts.Also, GNOME’s famous text rendering library, Pango has received quite a few bugfixes which resolve a large number of major Indic script rendering related issues. The GNOME printing system has also undergone some significant improvements. It is now better integrated with the Common UNIX Print System, or CUPS, and shows you not only the list of printers configured for the system, but also their status and their current jobs. This can be really useful if you have multiple network printers installed, since you can easily figure out the number of pending jobs for each printerwith this new UI. 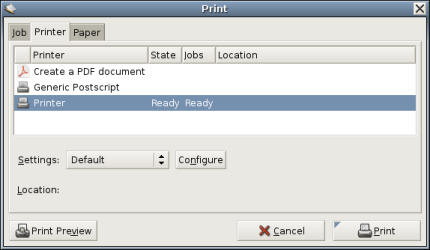 However, there is no way to add and remove printers, and I hope that that feature will be integrated in GNOME 2.10. Among the other regular applications, the GNOME PDF viewer, GPDF, has got some thorough polishing, and it managed to flawlessly render all the PDFs I threw at it, including the ones generated with OpenOffice.org. GNOME Games now include some beautiful SVG artwork (though much of it has been moved to the gnome-games-extra-datamodule). Gedit has a new case change plugin and support for CSS and JS highlighting, while the network applet has got better support for wireless cards. The volume control application now supports the ALSA “switches” in a much saner manner (no sliders), but it still needs some work. The “Connect to Server” dialog hasalso been vastly improved, and now it presents you with a nice drop down menulisting all the supported protocols (FTP, SSH, WebDAV, etc). File-Roller, the archive manager, now has support for ISO images, which can be quite handy in certain situations. 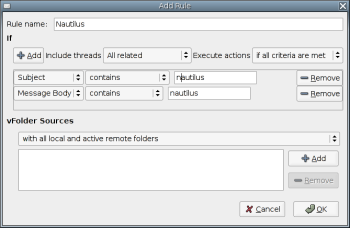 Spatial Nautilus has undergone a number of tweaks and fine tunings—Ctrl-Q now closes all the open folders, while the backspace opens the immediate top-level folder. The preferences dialog now includes a checkbox to turn off spatial browsing, while a new gconf key, /apps/nautilus/desktop/volumes_visible lets you prevent mounted volumes from being shown on the desktop. Moreover, it is now possible to edit the desktop lauchers (something that was earlier possible only by hand editing .desktop files). GNOME 2.8 is full of exciting changes, all of which, I am sure, would help Free Software achieve wider acceptance in the desktop. Yes, there are quite a few rough edges, but going by the current trend, I am pretty confident that they will be resolved in the next release cycle. While writing this article, I was truly amazed by the sheer speed at which the GNOME developers have adopted new innovations and standards that have come up in the other parts of Free Desktop stack. GNOME 2.8 takes advantage of Linux 2.6 (in the form of HAL support), it utilizes the XComposite extension (Metacity) and the XDamage extension (Vino), andthe next major release of GTK will probably make full utilization of Cairo, the vector graphics library for on screen rendering. (For a very informative paper on the future direction to be taken by GTK, check out Owen Taylor’s article. GNOME 2.8 is definitely a job well done, and I would like to congratulate the GNOME developers for that. There is still a lot of work to be done—we are yet to seethe multimedia framework (GStreamer) used to its full potential, we have yet to see a full fledged multimedia player in the core desktop, but from an overall perspective, we can confidently say that the GNOME desktop has become something to reckon with. GNOME 2.10 promises to be even more exciting, with more integration between the various GNOME components, as well as between the base system and the desktop, and I definitely look forward to that day in March 2005, when GNOME 2.10 will be released. Copyright © 2004, Sayamindu Dasgupta (sayamindu (at) randomink (dot) org). Preview what GNOME Journal has to offer. Jim Hodapp, Editor in Chief covers what GNOME Journal is, and what it is not. There is a current lack of original written content centered around GNOME – GNOME Journal fulfills this void by creating original content that focuses on the technology, community, philosophy, and general happenings within the GNOME umbrella. A void that is largely unfilled currently is how to effectively market the GNOME desktop to people who either currently use a free operating system and don’t use GNOME, or to attract those people who use another operating system altogether GNOME will not run. GNOME Journal will provide a very tangible and centralized place that people can read to gain original insite into what GNOME is and what they can do with it. Lastly, GNOME Journal is entering into existence simply because it is a cool idea. It is my hope that it will also spur on increased appreciation for GNOME and allow more people to feel like they can get involved in the community. GNOME Journal has a lot of potential to create a prime example of what the GNOME community can produce. By definition, for this to be a community project, it needs many people to help make it a reality. GNOME Journal will start out small with a limited number of articles. If more writers join that can help write an article regularly or even a guest writer for one issue, that will help to create and expand the number of articles that GNOME Journal can offer. If you would like to get involved with anything related to the production of GNOME Journal, then please get in contact with someone in #gnome-summary on irc.gnome.org. In this current issue we have only a small number of articles. However, that doesn’t mean that they are of low quality nor does that mean that we’re not taking this new undertaking seriously. On the contrary, we hope to expand this magazine into a large online publication. Maybe even one day we will find the right opportunity to print hardcopies of the magazine too. In the meantime, enjoy the brand new GNOME 2.8 review by Sayamindu Dasgupta. I’m sure you’ve read one of his previous GNOME reviews as he has always taken it upon himself to produce. He, however, now writes for GNOME Journal! You might also enjoy to read all about the fanstically new Evolution 2.0 which will release at the same time as GNOME 2.8. Evolution 2.0 is on the same release cycle as GNOME because it is now a part of the core GNOME desktop release. Jorge Castro has written an excellent piece detailing just about every imaginable thing to do in Evolution 2.0. Take a peek at his review. Let me personally thank you for visiting the GNOME Journal online magazine site. We hope that you enjoy this first edition and that we can gain many loyal readers for the future. We are still discussing how often to release each new edition and are currently open for suggestions. Current thoughts are to release one issue per month, 4 issues per year, or even an edition per every new GNOME release. Please email any suggestions to me. It’s finally here! Evolution 2.0 is the much anticipated upgrade to Ximian’s premere email/groupware program. Jorge Castro takes us through the entire thing. Grab a nice hot mug of tea, and kick back and enjoy this article. 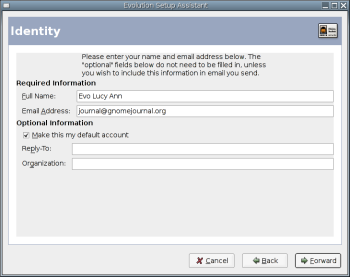 One of the most user-visible changes in GNOME 2.8 is the inclusion of Evolution 2.0 mail user agent in the base desktop. While many distributors already include Evolution as part of GNOME, this is the first time that Evolution will ship alongside the GNOME Desktop and Developer Platform officially. While users will probably not notice the significance of this right away, it is a good first step to a truly integrated desktop. This will allow for what normally would be stand-alone applications to communicate information to the user in new ways. Another side benefit is that it will now have the same release schedule as the rest of the desktop, as well as inherit the documentation and translation resources that the GNOME community provides. This release marks an important milestone for Evolution. Early releases were dogged by performance issues, as terms like “killev” and “oaf-slay” became part of the standard vocabulary of users, along with the UI issues that Evolution’s interface “inherited” from Outlook. It was, after all, designed to replace Outlook. So, over two and a half years since Evolution 1.0, a new 2.0 hits the streets. Is it a worthy upgrade? Let’s take a look. The typical user will notice one overarching “new feature”, a revamp of the user interface. Though it is the largest visible difference that you will notice right away, the changes themselves are more than skin deep. Evolution 2.0’s architecture can best be described as two separate parts; the Evolution-Data-Server or E-D-S, and the mail client itself. E-D-S provides an API to interact with the Evolution Mail, Calendar, Contacts, and Task List. Separating the client itself from E-D-S allows other desktop applications to interact with E-D-S directly. This allows applications (like the clock applet) to interact with E-D-S and manipulate all the data that would normally only be accessible through Evolution. This means that other desktop applications, for example GnomeMeeting, will be able to talk to E-D-S and allow it to access the Contacts portion of a user’s data for information. The benefit to end users is that common Contacts, Mail, Calendar, and Tasks information will be shared between applications on the desktop. When you run Evolution first time, it presents you with a druid in which to input information about your email accounts. Evolution 2.0 will find and migrate any existing data from a previous install. Prior versions of Evolution used the ~/Evolution directory to store settings. This has been moved to a hidden directory, ~/.evolution, which cleans up the user’s home directory. The druid is short enough to not be very disruptive, but has some good options that you won’t find in Thunderbird or Mozilla Mail. 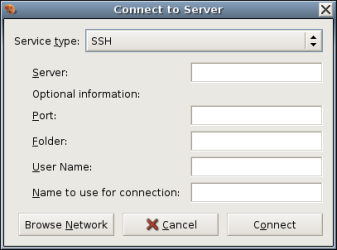 For example, the option to use SSL connections for your accounts immediately. After you’ve inputted your information, Evolution takes you to the mail section immediately, which is the fairly common “three pane” mail view. The largest visible improvements in Evolution’s interface are mostly concentrated on the left side of the screen. The most obvious change is the removal of the Outlook-esque side bar. The majority of the left side of the screen is instead dedicated to the user folders. The user accounts are separated into their own collapsible sections, with vFolders underneath all of the accounts. Prior versions of Evolution stuck the Calendar, Tasks, and Contacts as folders in this tree view. This concept has been scrapped in favor of a new user interface. Instead of all of the separate functions treated as special folders within the tree view, Evolution 2.0 distinctly separates these tasks. At the bottom left of the screen there are four large buttons that correspond to the four main functions of Evolution. Mail, Contacts, Calendar, and Tasks. While Evolution is split into Mail, Contacts, Calendar, and Tasks, there are some common things in each view that make using Evolution consistent. Two things reinforce this paradigm. The “component chooser” in the bottom left of the screen, and the search functionality on top of the content area. Regardless of which subcomponent of Evolution you are in, the search area and the component chooser are in the same place. This provides a significant usability gain. It is probably safe to assume that most people will spend the most amount of time in Evolution reading their mail. 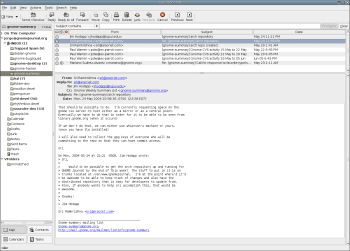 Evolution supports more mail interfaces than any other GUI client. IMAP4, POP3, Groupwise, and Usenet are available as remote options, with Exchange supported with the optional plug-in. 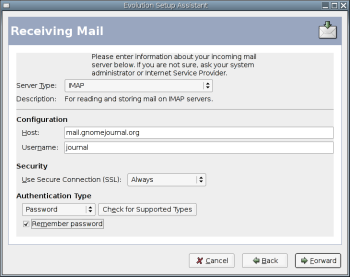 Evolution also supports Maildir, MH, and mbox-style local mailboxes. The IMAP support has been significantly re-factored; IMAP users will find the improvements in the mail component alone a worthy reason to upgrade. In the past, Evolution’s IMAP support was not very robust, and performed rather terribly when compared to other clients, especially over SSL. I found the new IMAP support reliable and speedy. Text size of mail is adjustable via CTRL-8 and CTRL-9, although I found that it really adjusts the vertical space between lines, and doesn’t affect the actual font size of the mail itself. Support for S/MIME secure email is now included, along with the easy to use GPG/PGP support that has been historically a strong point for Evolution in the past. The message columns themselves are customizable. By right clicking on a column, you are able to select the field chooser, which let’s you drag and drop new columns into your desired view. Unfortunately, this feature isn’t very discoverable. Thunderbird has a “breadcrumb” type column in its view that makes it more obvious. Another important new feature to Evolution is the addition of client-side junk filtering. If SpamAssassin is installed, Evolution will launch it in daemon mode and use it as its junk-filtering engine. All mail that is tagged as Junk is moved to the corresponding Junk folder. The toolbar has both a “Junk” and “Not Junk” button to allow for easy training of SpamAssassin. Results with SpamAssassin 2.64 were acceptable, the use of SpamAssassin 3.0pre snapshots, however, made for nearly perfect junk filtering. Unfortunately, there are two places where you can set Junk preferences. There are account-specific settings in the Receiving Options tab, as well as another set of global options in the Mail Preferences->Junk tab. It would probably be best if the Junk options were accessible in one place. The one down side I found to the Junk filtering is that it is rather slow. Evolution provides a progress meter at the bottom of the interface that shows you the progress of the filtering. With a fair amount of Junk mail in an Inbox, sometimes it takes a good 10-15 seconds for the filter to classify and move the mail to the Junk folder. Although the filter itself is highly accurate (especially after training), I found the filter in Mozilla Thunderbird to be much faster. Obviously, since Evolution uses SpamAssassin as it’s Junk filter, one can hardly pin the performance problems on Evolution itself, but if you rely on client-side Junk filtering as your only means to filter your mail, you might find the performance lacking. One of the most powerful, and least understood features of Evolution is the concept of vFolders for mail. Virtual Folders, when used properly, allow you to have dynamically changing folders that sort your mail according to certain criteria. This is particularly useful for adding granularity to your existing rules. This sounds complicated, but is an easy concept when you have some examples. As an example, it is common to create filters that sort by subject, sender, or by mailing list and then file those messages in a certain folder. In this example, I am subscribed to the fedora-development list. 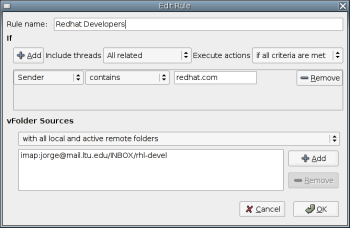 While I have my normal rules sorting the entire list to it’s own folder, I have a vFolder that separates out messages from anyone with an email ending in redhat.com. This allows me to quickly scan for all messages from the Red Hat engineers to the fedora-development list. What makes the vFolder concept so useful is that it never moves the mail itself, it just displays it, the original folder is unchanged. I can even have the rule include the parent thread for reference, as in Figure 5, or specifically include only those posting to the list with a redhat.com address. vFolders can also work “across” folders. This means that I can make a vFolder for a specific person or subject and have them grouped together. As you can see here, in this example, I’ve made a vFolder that I call Nautilus. This vFolder takes any email I have with “nautilus” in the subject and shows them all together, regardless of which real folder the mail is actually in. This allows me to keep track of people that are specifically talking about Nautilus, even across lists or folders. As you can see, vFolders can be very powerful. A business example of a vFolder would be “Messages from Finance” based on the three people who work down there, or “Attachments from People”, which would give you one vFolder of emails with attachments for you to manage from one place. The sheer amount of criteria available for vFolders is substantial, and is really only limited by a user’s imagination. A downside to vFolders is that their placement and usage seems to be identical to normal mail rules. There doesn’t seem to be a way for a new user to understand vFolders without resorting to documentation or someone showing you how they work. This is disappointing because when used properly, they are a powerful and immensely useful feature. Contacts is which is the name for the address book functionality in Evolution. The standard features are all there. VCard and LDAP support, sort by criteria, and groups (which are called contact lists) are all present. 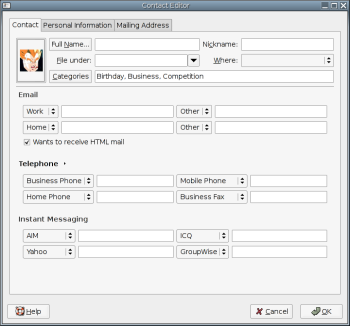 The contact editor has seen some massive changes, allowing for a rich set of data to be stored. As you can see, the vast amount of information for each contact can cover nearly every possible choice. The drop down options for the Email, Telephone, and IM fields are particularly useful, allowing any possible number of combinations. As you can see, the “picture” field allows you to assign a specific image to each contact, which is useful. It would be nice if this option did some auto-sizing for images however. The only thing I feel that is missing in this dialog is an option for custom fields. Other mailers, like Mozilla Thunderbird, have an option to automatically add Contacts via certain criteria, ie. if you reply to them, or even if they send you mail. This option is not available in Evolution, so if you want to populate your Contacts, you have to either do it by hand, or depend on a directory, such as Groupwise, Exchange, or LDAP. The Calendar has seen some of the most improvements in this release. One of the most significant is the ability to subscribe to iCalendar folders over the web. 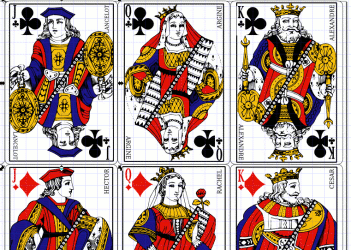 iCalendars are a standard way of publishing scheduling information on the Internet. When combined with the evolution-webcal module, this allows one to click on an iCalendar link on a website, such as icalshare.com, and then automatically subscribe to the content. The evolution-webcal module is particularly useful, as I was able to subscribe to calendars with Epiphany, Galeon, and Mozilla Firefox without any hassle or configuration. One example of this is the GNOME Release Schedule . iCal is also supported in Mac OS X via iCal, Mozilla Sunbird, and in Microsoft Windows via Outlook. This allows Evolution users to share in the multitude amount of existing iCal resources on the web. As expected, a multitude of different Calendar views are provided, Day, Work Week, Week, Month, and List. You can schedule meetings and appointments, as well as invite other people from your Contacts to participate. Recursion of meetings and categories is available, as well as alarm functionality to nearly every Calendar function. Publishing of free and busy time is also possible, if the back-end (like Groupwise or Exchange) supports it. 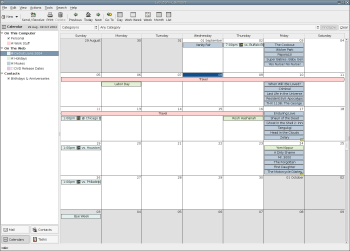 When in the Calendar mode, the left pane becomes an organizational means to separate calendars. The check boxes next to each Calendar you make allow you to view as many or as few items in the main Calendar view as you care to look at. This allows you to separate Calendars by task or by function. So while you can subscribe to many web calendars, you can easily disable their view so that, for example, you can concentrate on your work schedule. All Calendar items are also exportable, so it is possible to build a Calendar, forward it to any Contact with an iCal-capable client, and have them view your schedule. Unfortunately, there is no “Publish to Web” functionality to the Calendar, so if you want to share your calendar with your Contacts, you either have to export as an iCal and publish to the web by hand, or update your colleagues by mailing them an iCal every time you update your Calendar. A nice default rule is the “Anniversaries and Birthdays”, which will automatically put anyone in your Contacts birthday and anniversary onto your Calendar, provided their contact information is filled in. Tasks are the fourth major component of Evolution. Tasks allow you to assign certain things to yourself. The interface for adding new tasks is nearly as complete as the Calendar’s; you can even assign Tasks to people in your Contact list. Most of the Task’s functionality can be either duplicated in the Calendar, or made available in the Calendar View. Tasks can also be assigned a “Percentage Complete” flag, as well as prioritized to Low, Medium, or High priority. Evolution 2.0’s most significant contribution to GNOME probably has nothing to do with Evolution as a client itself. The Evolution Data Server (E-D-S) brings a powerful feature set to GNOME. Imagine a desktop in which your IM contact list, GnomeMeeting list, email contacts, and phone address book are all the same, integrated and consistent. When tied into a future presence framework, like Galago, the possibilities are endless. Perhaps your instant messenger list will merely be an aggregation of your Contact’s information, which you can manipulate via both Evolution and your IM client and is smart enough to tell your acquaintances that you’re once vacation. This could be whether they contact you via email, IM, or phone. In a corporate setting, if you use Groupwise or Exchange and want to run a Linux desktop, then Evolution is clearly your best option. It easily trumps both the Java Groupwise client, and the rudimentary web based clients that Exchange and Groupwise provide. Exchange users can forget anything before Exchange 2000 or 2003 being supported. Even then, there are issues. Now that the Exchange connector has been open-sourced, hopefully more participation from the open source community can lead to better support. As far as Groupwise support, while I was successful in getting it to work with Groupwise 6.5, don’t expect seamless integration however. It’s obvious that Groupwise support has been tacked on and that the expected sweet spot for integration will be Groupwise 7. Overall, Evolution has come a long way since 1.0. Both the reliability and performance over the 1.x series of releases is significant, as Evolution did not crash once during my entire testing period, which covered the past four unstable releases leading up to this release. Performance, especially for IMAP accounts, has been improved immensely. 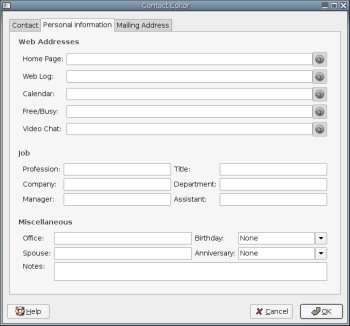 Support for open standards like iCalendar really bring Evolution to the leading edge of GUI mail user agents. If you are using a 1.x version of Evolution, then 2.0 is by far a necessary upgrade. If you’ve been put off by past version’s reliability and performance, then this version is where you need to take another look. Stability and Performance over prior versions is substantial, especially IMAP support. Good Calendaring functionality, iCal support. Secure mail features are easy to use. E-D-S architecture allows other desktop applications to use common user data. vFolders allow for new ways for users to sort email. Publishing iCal information not intuitive. Text size adjustment not very useful. Use of vFolders requires prior knowledge of “how they work”. Hold onto your seats. Sri Ramkrishna gives his opinions on the current state of how open your desktop really is. “This is the year of the desktop” people say. From blogs, to magazines, to commercial companies around the world. There is a buzz around the desktop for GNU/Linux. Indeed it’s an exciting time to be hacking on the desktop. The most important part of the desktop is not GNOME, KDE or some of the other desktop projects out there. It’s freedesktop.org. Freedesktop.org is an umbrella project that hosts desktop technologies that desktops can choose to standardized on. Freedesktop will host any project even competing ones letting technical merits decide which one works best. 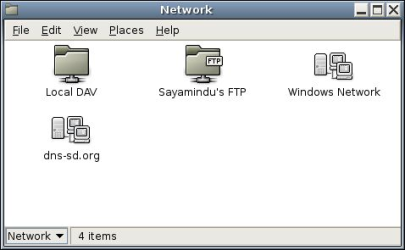 Freedesktop.org hosts projects like the Xorg X server, HAL (Hardware Abstraction Layer), and various other projects that deal with infrastructure pieces. More importantly, freedesktop.org also hosts specifications that desktops can standardized on. Standards like the notification area is a great way to start integrating commonality between the desktop projects and allow developers to write applications that works well on any desktop. It also provides a desktop neutral forum to discuss the technical merits of any number of featured technologies. For instance, Novell employees recently released a wireless network tool that allows people to know what wireless networks are available. They used the notification area in order to create the same interface across KDE and GNOME. Disregarding the fact that it used the notification area improperly; it illustrates how interoperbility works beautifully through the use of standards that the freedesktop.org project provides. Skype is another example of an application written in one toolkit that works well on any desktop. I had the opportunity to talk to various software developers from all walks of life at the O’Reilly Open Source Convention in Portland, Oregon and I’ve heard a lot of interesting feedback. There is a concern by commercial vendors that writing an application for one toolkit or desktop might alienate users that use other desktops. The end results are bland applications that either re-invent technologies that desktops already provide or a mediocre user experience that integrates poorly with any desktop, if at all. Commercial vendors do not have a unified framework that can provide at least a basic set of specifications for applications that would integrate on any desktop. Freedesktop.org will solve these problems, providing one stop shop for standards that developers can utilize, provide an arena to propose new desktop technologies for standardization, and finally create a layer that applications can coexist in any desktop the user wants to use. Developers will be able to develop against the toolkit/desktop of their preference without worrying that they might lose half their customers because they are on another toolkit. Yes, the future of desktops is bright keep you’re eye on freedesktop.org and you’ll know why.